The Northwestern Ontario Sportsmen’s Alliance was founded in 1998 by a few like minded sportsmen who felt that government, other agencies and organizations were not best serving the needs of hunters, anglers and trappers in the north. These dedicated individuals decided that we needed our own voice in the north, to speak out on behalf of our interests and concerns as they pertained to wildlife management and conservation issues. Since then “team NOSA” has garnered status as the lead organization for northern Ontario, in dealing with subjects ranging from moose management to fisheries regulations. 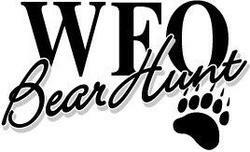 We’ve defended publicly our stance on issues such as reinstatement of the spring bear hunt. NOSA and its members work on a variety of conservation minded projects ranging from fish stocking and rehabilitation programs to putting volunteers alongside MNR biologists as they do aerial moose inventory in helicopter flights. All of this effort is done on a volunteer basis. As a non-profit organization we are limited in our funding ability but we have successfully managed our organization’s financial needs by running a successful Membership Dinner and fundraiser once each year. With tremendous support from the northern Ontario business community, we continue to forge ahead with setting goals for the enhancement and promotion of our hunting and fishing heritage in the north. With member input and communication we will continue to serve northern Ontario’s Outdoor community in a manner that best reflects their views. So join us in successfully passing down to following generations the legacy of northern Ontario’s proud hunting, fishing and trapping heritage. Northwestern Ontario Sportsmen's Alliance welcomes comments and feedback. Feel free to contact any director through their email on the Directors page.